With all of the talk about the importance of analytics for finance professionals, by now you probably understand its significance. The million dollar question is: are you actually taking full advantage of it? In reality, ticking the analytics knowledge box or even having an analytics system in place is just the beginning of the story. There are many core capabilities that are often left untapped which lead to missed opportunities and many financial professionals only partially fulfilling their potential. We’ve put together a list of the top analytics capabilities that are often neglected, but if carried out correctly, can provide a whole new level of insight that can work as a long-term strategic asset. Having an analytics system isn’t just about optimising financial processes. To get a full picture of the financial state of your organisation, it’s essential to take a holistic view, and to do this, data from across your organisation must be synced and coordinated. Often, what rather tends to be the case is that teams across the organisation record and analyse their data using their own individual methods. This ultimately leads to mismatched and inconsistent financial data. Analytics can be used to store all of your organisational data in one centralised place. Using a data warehouse, it’s possible to even collaborate business processes in real-time so that you can see how changes in other areas of the organisation will directly impact the financials. Knowing your organisations’ key value drivers is key to financial growth. Unfortunately, many rely on rough estimates to determine what these key drivers are. For instance, it’s easy to assume that core factors like product pricing have a direct impact on revenue, when in fact, this is nothing more than an assumption until proven otherwise. If you fall into the above category, analytics can be used to “see what the data says” so that you can base this understanding on facts rather than mere theory. Having this capability will allow you to work directly with your organisation to employ a smart, data-driven strategy that will significantly increase the chances of realising your goals. Cash flow is the lifeblood of your organisation and it’s your job to oversee this. Understanding exactly what’s going into your organisation, what’s leaving it, and precisely when and how this is happening, is a crucial part of avoiding financial issues later down the line. Analytics can be used to get a multi-dimensional view of your cash flow – looking not just retrospectively, but in real-time, and even to predict what future cash flow will look like. Using this information and tools like scenario planning, you can plan and prepare in advance and ensure that cash is constantly being allocated to the right place at the right time. Are you still relying on manual methods to carry out your financial reporting? If your answer to this question is “yes”, then you’re seriously limiting your potential for growth. Research shows that 80% of spreadsheets contain errors, and reliance on these manual processes alone leave you at risk of non-compliance, not to mention taking up a good portion of your time. Instead of relying on manually inputting data into spreadsheets, analytics can be used to automate repetitive, low-value tasks; giving you peace of mind that your financial data is accurate and up to par. Another added benefit is that by freeing yourself from tedious tasks, you’ll have more time to spend on activities that fully utilise your skills so that you can provide greater value in your everyday role. Analytics can be used to drill-down to understand where profit is being generated and how much, as well as revealing areas of the business that are dwindling. It helps you to answer questions like: What product generated the most revenue for the business within a given time period? What is each customers’ lifetime value? And which areas of the business need extra support to reach revenue goals? These insights can be fed back to teams in other areas of the business so that the approach can be refined to promote activity that will increase the profitability of your organisation over time. Getting your budgeting and forecasting process to a point where you know your estimates are accurate isn’t an easy task – especially when this is left down to manual observation. Using historical data and a range of predictive techniques, it’s possible to present sales figures in digestible visualisations so that you can easily forecast and make accurate predictions about what future sales figures may look like. This also allows you to identify patterns and seasonal trends that may impact your organisations’ sales revenue, so that you can plan ahead and ensure that you have enough budget set aside to prevent any cash flow issues. 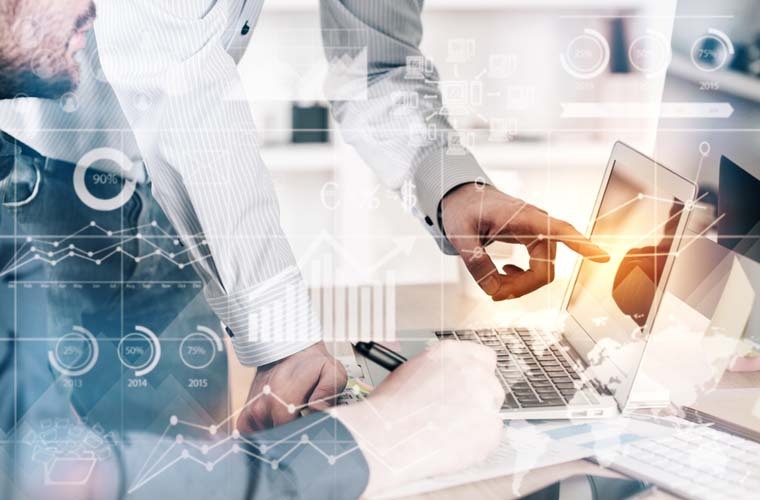 Analytics is certainly gaining momentum in the conversation of how to be a more effective finance professional, but many are still in the early days of implementation. To compete in the ever-changing finance space, it’s important to equip yourself with an understanding of how you can use the latest technologies to increase your personal impact and value. You can learn more about your own level of analytics capability by taking MHR Analytics’ Data Maturity quiz.